Sand washing machine is a critial equipment for sand washing, and it has many functions, such as integrates dewatering, washing and screening.Besides, with the characteristics of low water consumption, design according to low volume and low investment, high output and low power consumption, as well as long service life and convenient maintenance.Importantly, it is the most environmental friendly equipment. It is universally acknowledged that protect environment is a very important thing in our life.If we want to live and work in a healthy environment, we should give emphasis on protecting environment. How was everying going? first of all, i want to express my appreciation to your sincere advice,which it has greatly help me a lot.Besides, i am very satisfied with your products, as you know, no matter which kind of sand washer has the feature of polluting environment, while your product has completely meet my needs, and just with little pollution compared with other products from other manufacturers. What’s more, i want to consult the other sand washer, if you have any new type of sand washing machine, contact me! It is vividly shows that customers are more concerned about the advantages of equipment, whihc it not only saves cost, but also protects environment. 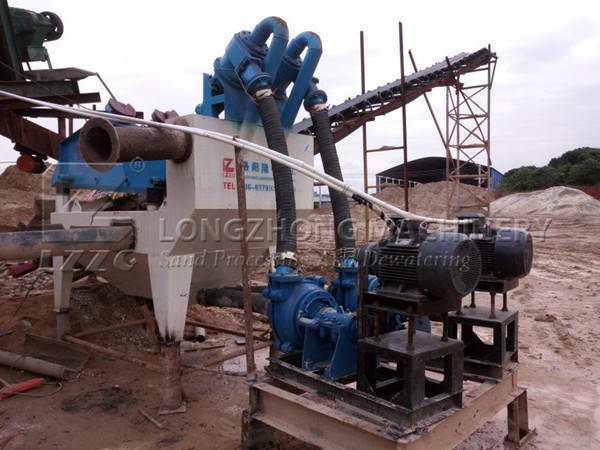 Next：Why spiral sand washer can be a hot sale product in LZZG?